Increasing your website’s search rank and visibility. Building an effective Search Engine Optimization (or SEO) campaign has many factors you should consider. Get a step-ahead & outrank your competition. Growing online visibility through Google. Search Engine Optimization (SEO) is simply the process for increasing your search rank on keywords through Google, Bing, & other search engines. These are the tools to take your business to the top. We also offer additional services for Content Optimization, so you’re getting lower bounce rates to help improve your reputation with Google. Not showing up on Google? We provide effective solutions looking to grow their organic search traffic results. What factors does Google look at for SEO? When Google looks at ranking your site for a specific keyword, they look at “how many backlinks”, “how many backlinks over-time”, “how related” those websites are to your business, and also what the Domain Authority is of those domains where your backlinks are placed. We utilize and analyze your domain and backlinks using Ahrefs.com, along with Moz.com, as they have valuable tools and reports to determine your existing SEO performance and rating. Have you done an SEO audit lately? Have you suffered from any link penalties on behalf of Google? What is all of this anyways? 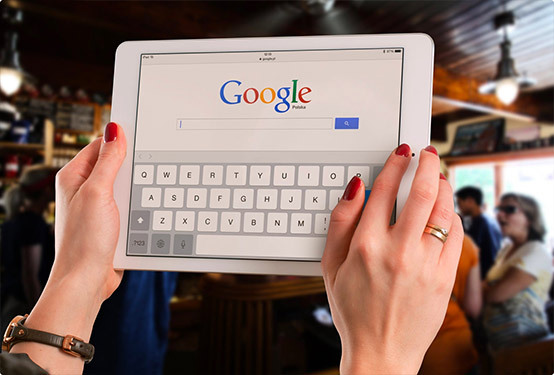 Our San Diego SEO team will analyze your existing site, and give you advice in increasing your online search rank and visibility through Google, and other major search engines. After we have a good strategy, we start to explore potential backlinks. An example would be a link to your site on a blog (best to be related to your product or service). From this link, you will include the “target keyword”, along with a link to your website or page. Often times this includes providing valuable comments with links in blogs from relevant sites, along with other techniques. No matter the size of your business or website, having a white-hat SEO strategy is essential to bringing organic visitors & traffic to your site. We provide businesses with off-page SEO, as well as white-hat on-page SEO services, using the latest Google-compliant rules & regulations. San Diego SEO professionals, start ranking up!